What time of the year is it? 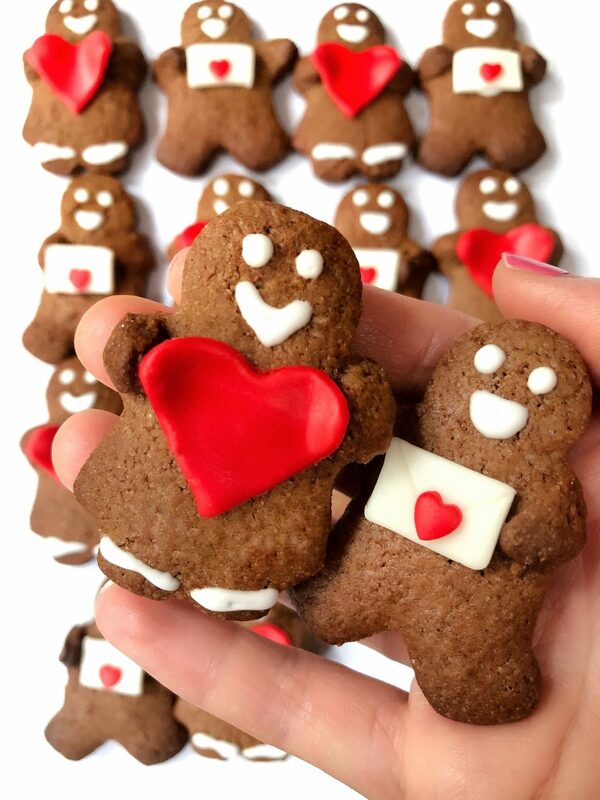 It’s time for some Christmas Gingerbread Cookies !! Not the plain kind but the decorated ones. 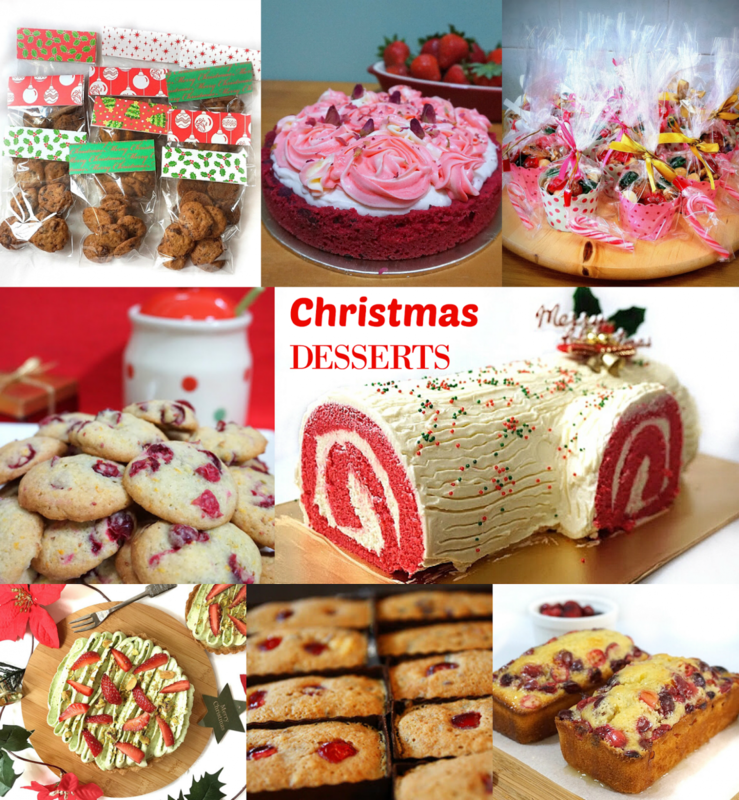 Don’t you get all excited baking your very own Christmas cookies? During this time of the year, the kitchen usually smells of cinnamon, ginger, apples, spices and everything nice. Everyone seems to be really interested in baking something this month. 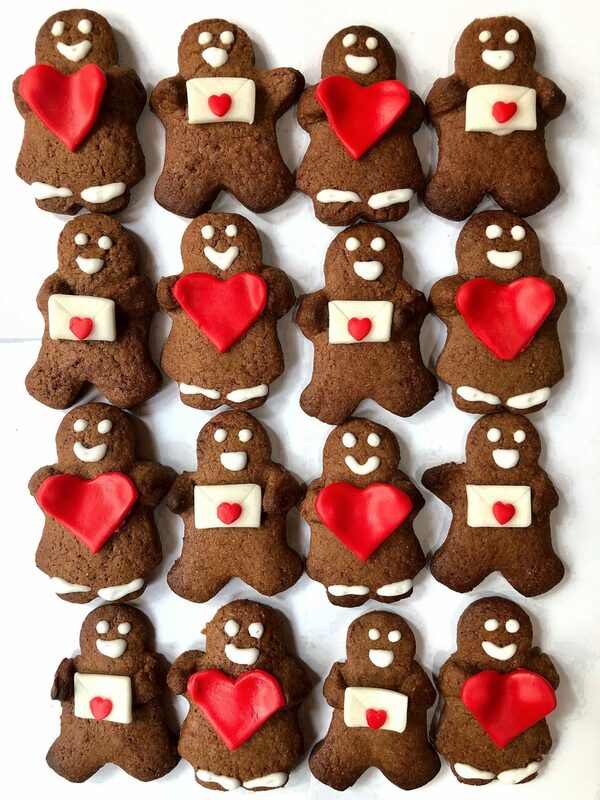 It’s a season of giving so there’s plenty to bake and share the love around. 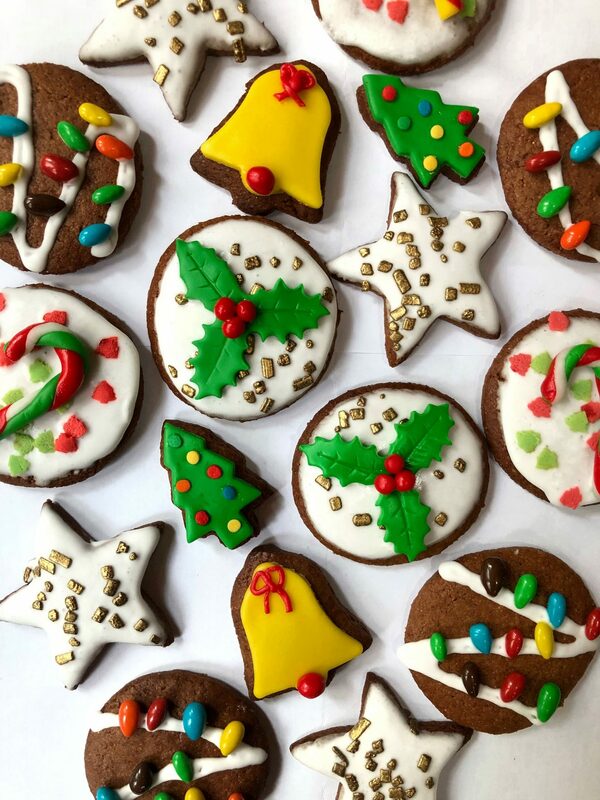 For the first week of December, I decided to bake some Christmas Gingerbread Cookies 🙂 These gingerbread cookies were tweaked from Genius Kitchen 🙂 Gingerbread cookies is one of my all time favourite cookie flavor ( aside from Chocolate Chip) You can actually make gingerbread cookies fancy by cutting them into Christmas shapes and decorating them with fondant or royal icing sugar. You can prepare the former 1-2 days in advance but for the latter, you pipe them onto the cookies and let them dry for at least 12 hours. I’m in love with Christmas cookies decorated using fondant or royal icing. I don’t have a preference just as long as they look pretty and presentable as gifts. 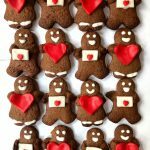 So i made these adorable couple Christmas gingerbread cookies with fondant hearties on the girls and a love letter for the boys. The fondant were made out of homemade Marshamallow fondant. If you are running out of time, you can always get store bought fondant so it’s ready to use whenever you want to decorate. Sometimes i use Wilton White Fondant and color them with edible Americolor food gel when I’m running out of time to make my own. They turn out just as pretty! These Christmas lights cookies were drizzled with white royal icing sugar and sprinkled with Colorful chocolate coated sunflower seeds! You can also use M&MS or any colorful chocolate. Let your imagination run wild! 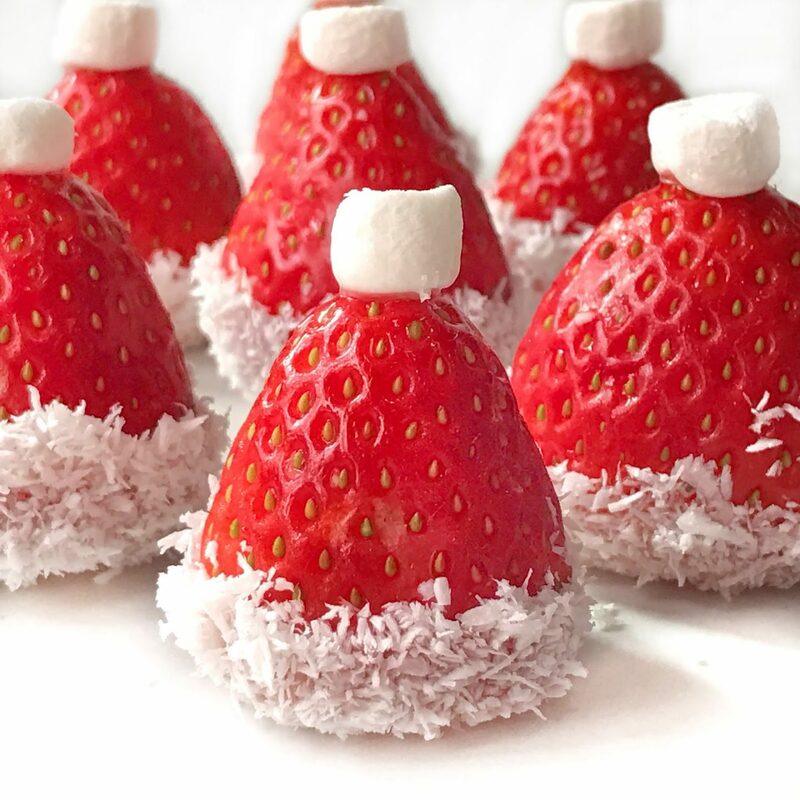 And my favourite of the lot is the Christmas Holly Cookie! 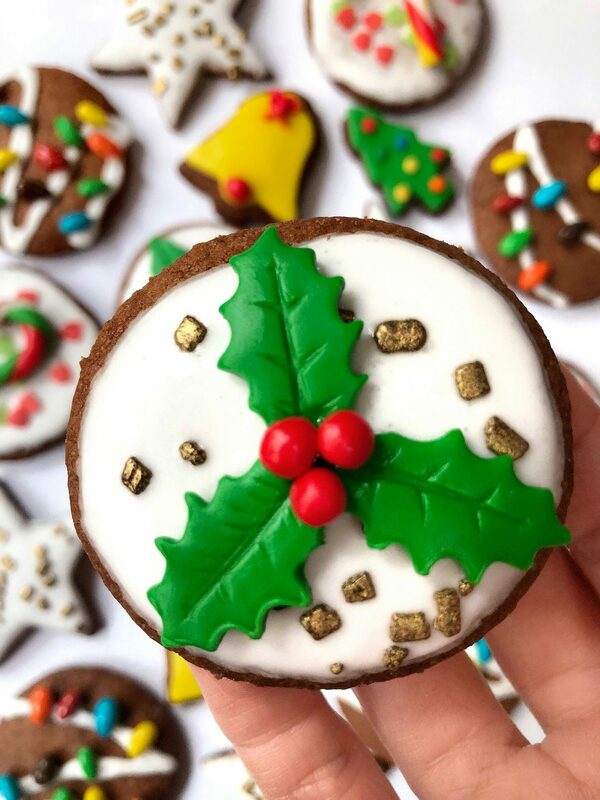 This round Christmas Gingerbread cookie is coated with royal icing sugar on one side and sprinkled with Gold Chocolate Spinkles and then topped with a beautiful Christmas Holly. I have 3 different size of Holly plungers to do the job. Trust me, if you want to churn out Holly cookies at a fast pace, do invest in these Christmas Holly Plunger Cutters … They punch out perfect Holly shapes in seconds. I can even close my eyes to do the job. Feel free to play around with the different cookie cutters. I made Christmas trees, bells and stars. Again, do invest in a variety of cookie cutters. You never know when you need them. 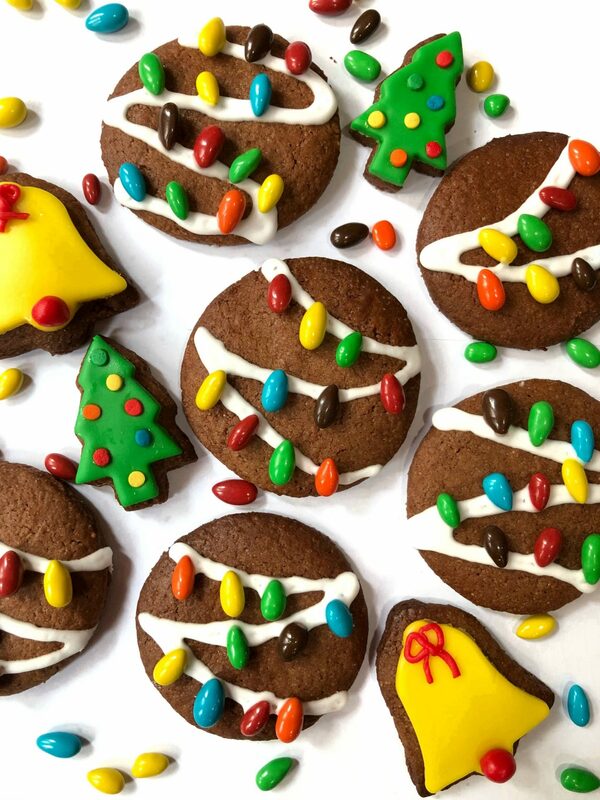 Cut out cookies with desired Christmas cookie cutter and place on baking sheet. Make sure each cookie is about 1-2 inches apart.